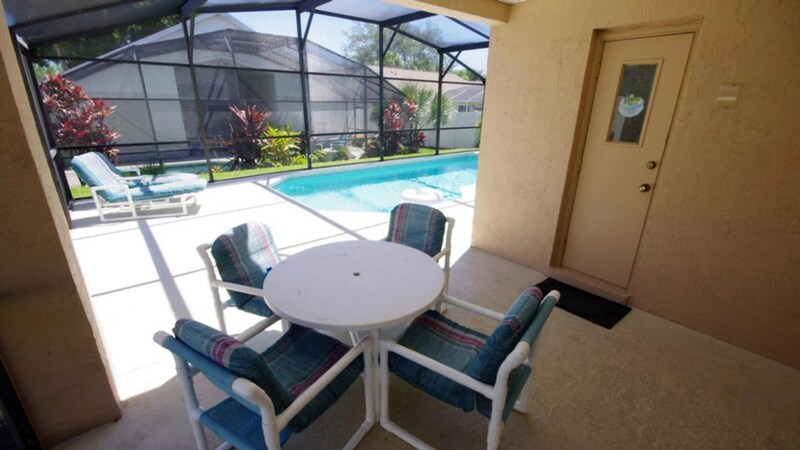 Relax in this 4 bed vacation pool home located near Disney! 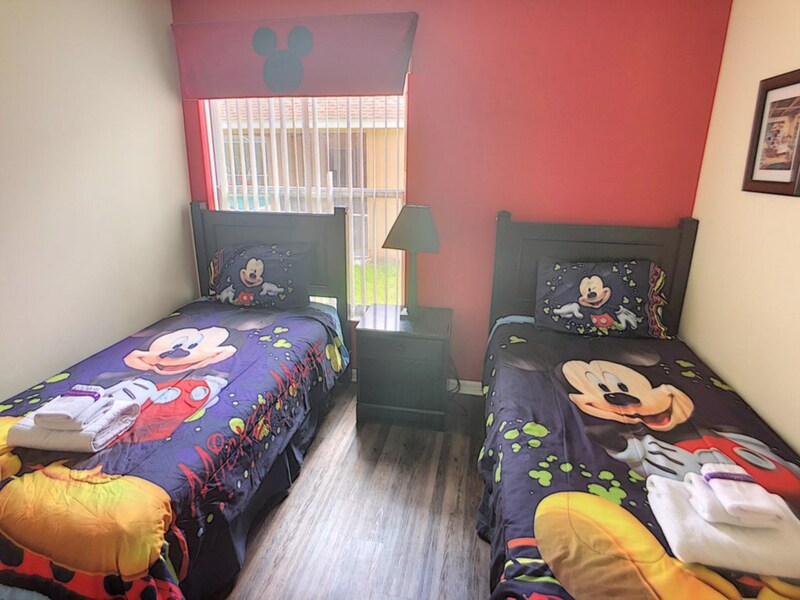 Imagine stepping into your Disney vacation home and finding that everything is not only exactly how it should be, but actually better. That's what happens when you book Rocco's Retreat!! 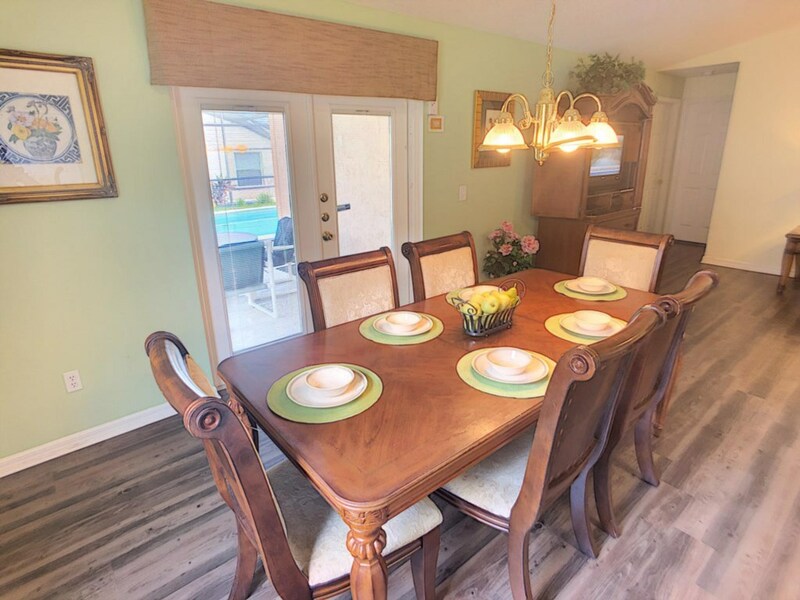 You'll open the door and find yourself greeted by comfortable furnishings, classy decor, and everything you need to make your family's vacation the most memorable one yet. 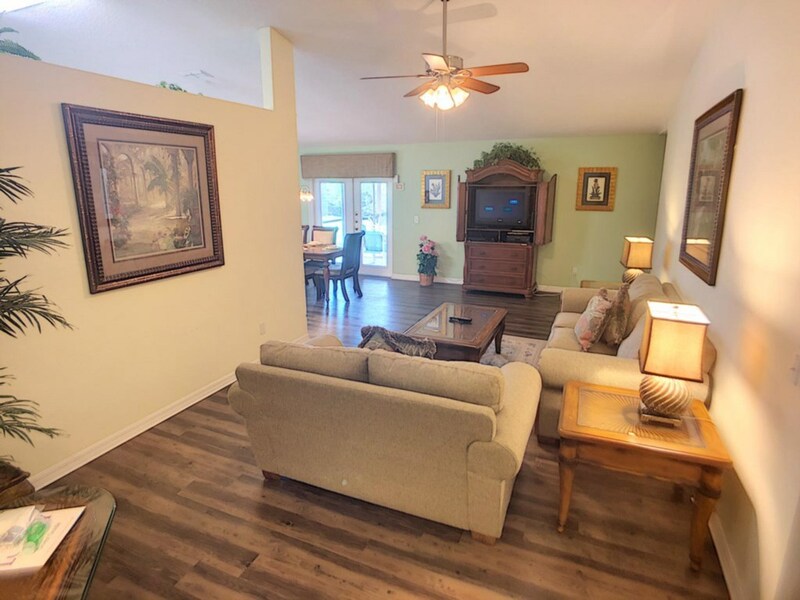 The comfortable living room has a big screen TV for your family to gather together to watch your favorite TV shows or movies after a fun day at the theme parks. 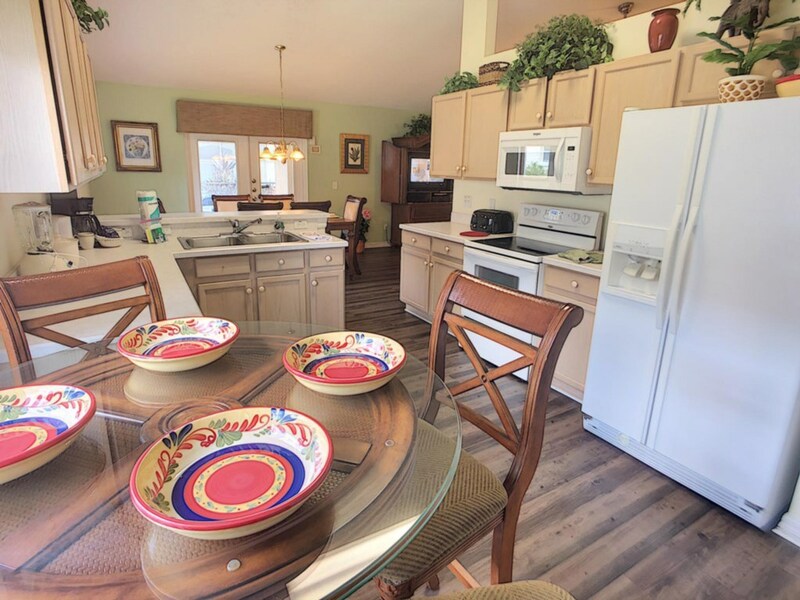 When it's time to eat, you'll enjoy the spacious kitchen, stocked with every utensil, dish, glass, pot and pan that you could need to cook a great family meal! 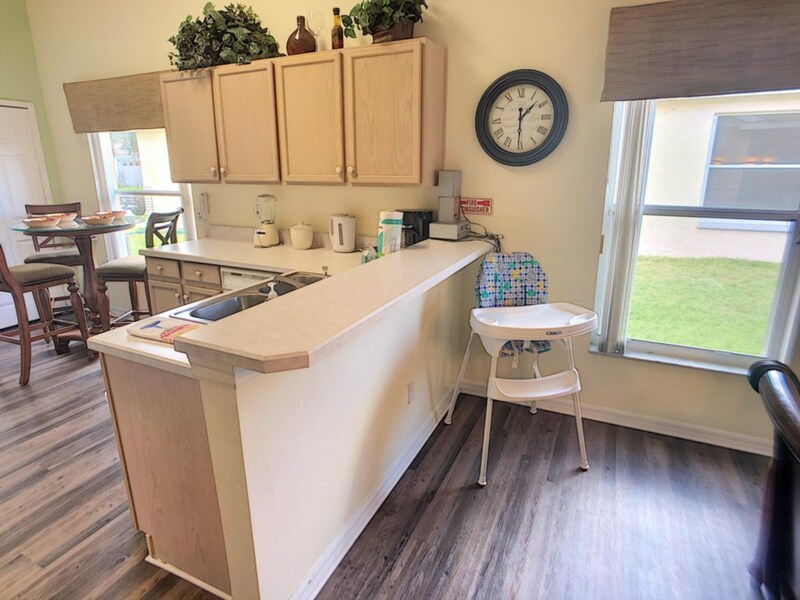 The kiddos can sit in the breakfast nook in the kitchen to munch on snacks, or the family can sit at the formal dining room table and have a hearty meal together. Ready to splash around in the Florida sun? 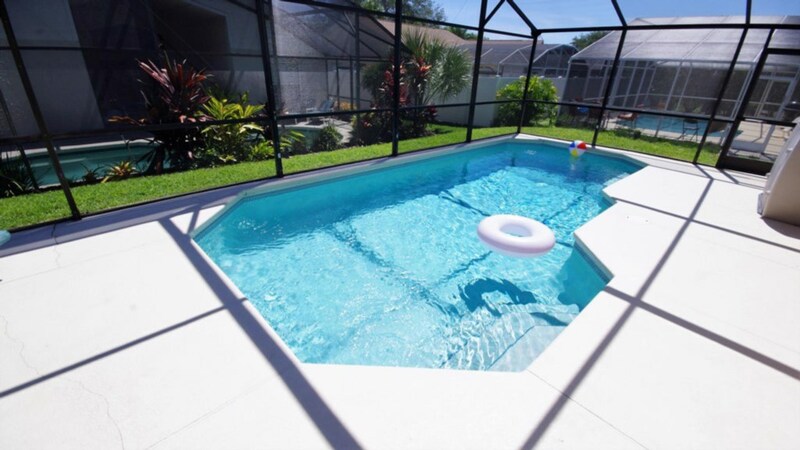 Step outside and take a dip in the glorious pool!! 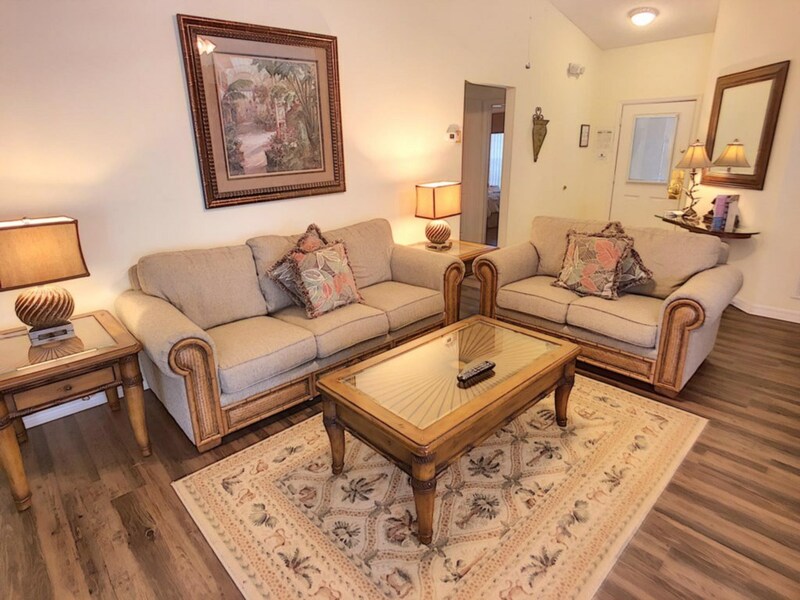 Or relax on one of the chaise loungers with some sun tan oil on, and get that vacation tan that will make all your friends, family and coworkers jealous of your fabulous Disney trip! There's also a table with chairs on the patio, so you can have a nice snack or a couple drinks in the shade outside. 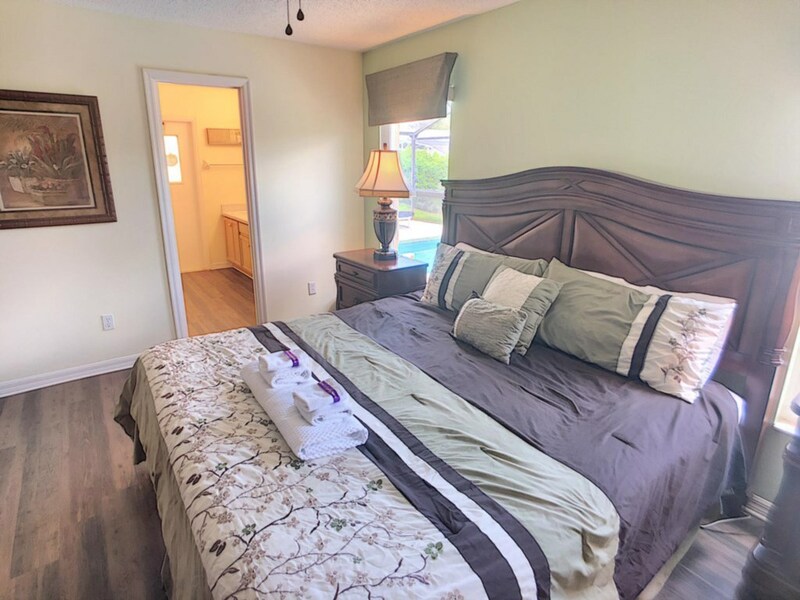 When it's time for bed, you can settle into the Master Suite featuring a king size bed, TV & VCR, private en-suite bathroom with separate entrance to patio & pool. 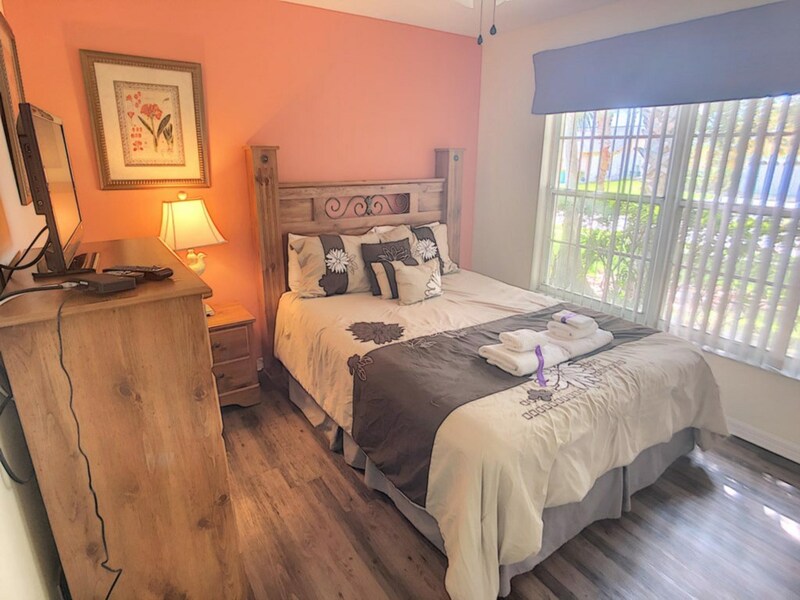 The queen bedroom has a comfortable queen size bed and TV. 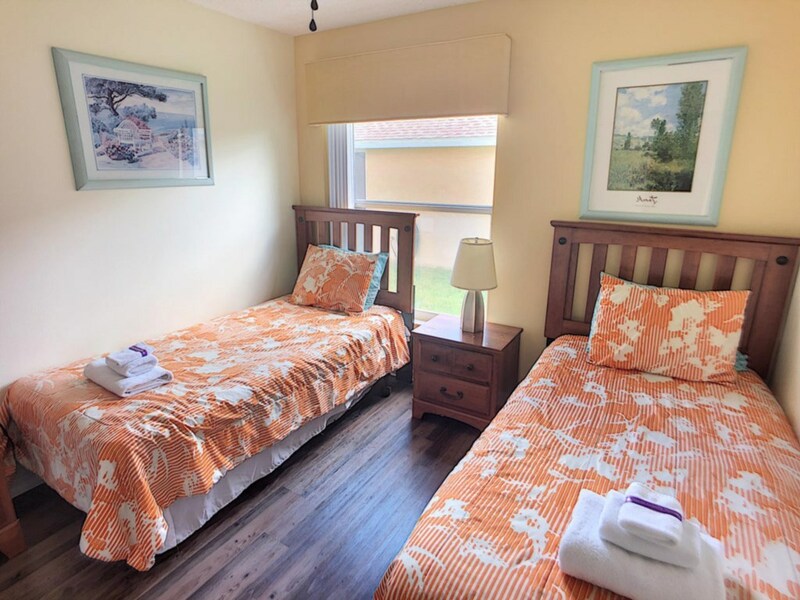 And the kiddos can run into one of the two twin bedrooms, each with 2 comfortable twin sized beds and private TVs. 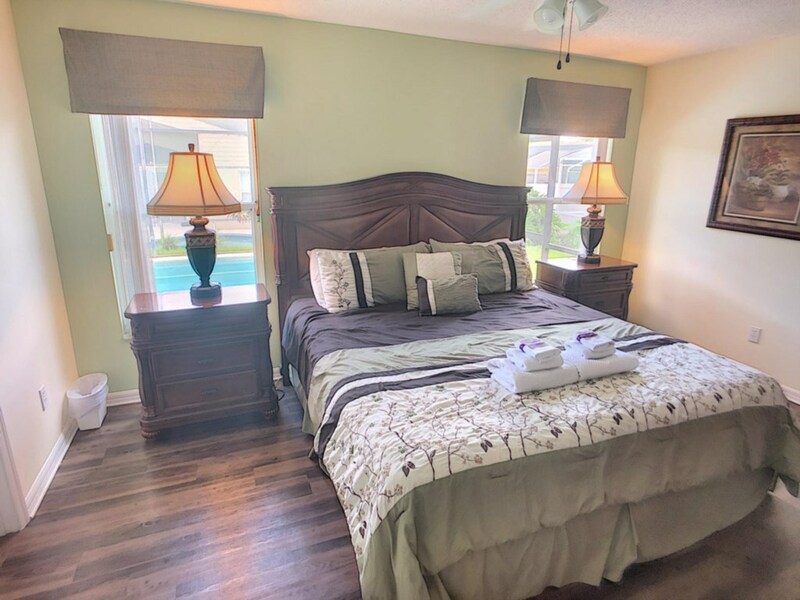 You'll sleep sound in this Kissimmee vacation home! 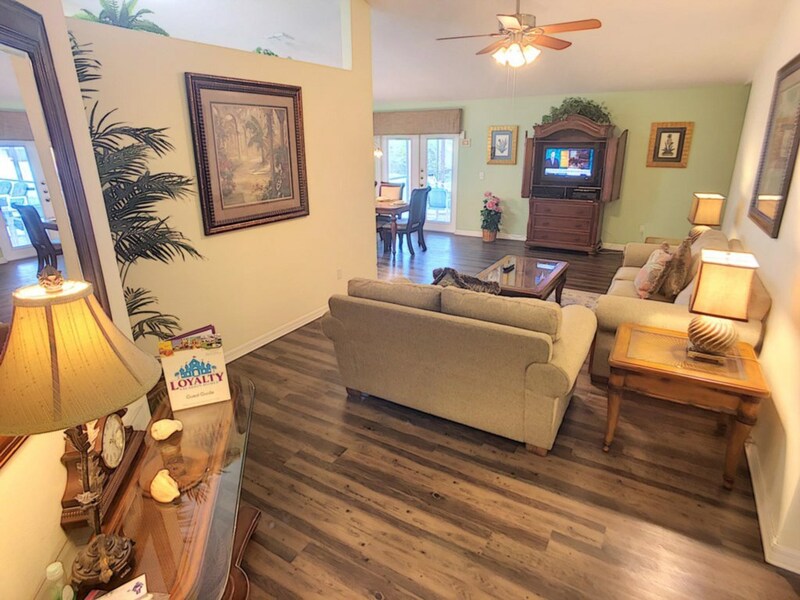 This executive style vacation home is located in peaceful community Indian Ridge Oaks, just a few short miles to Disney World. 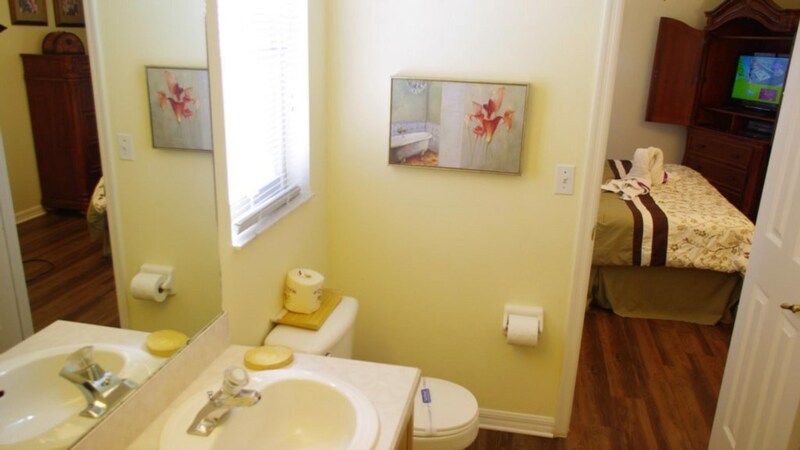 When it comes to comfort, style and cost, Rocco's Retreat meets all expectations. Ready to book? 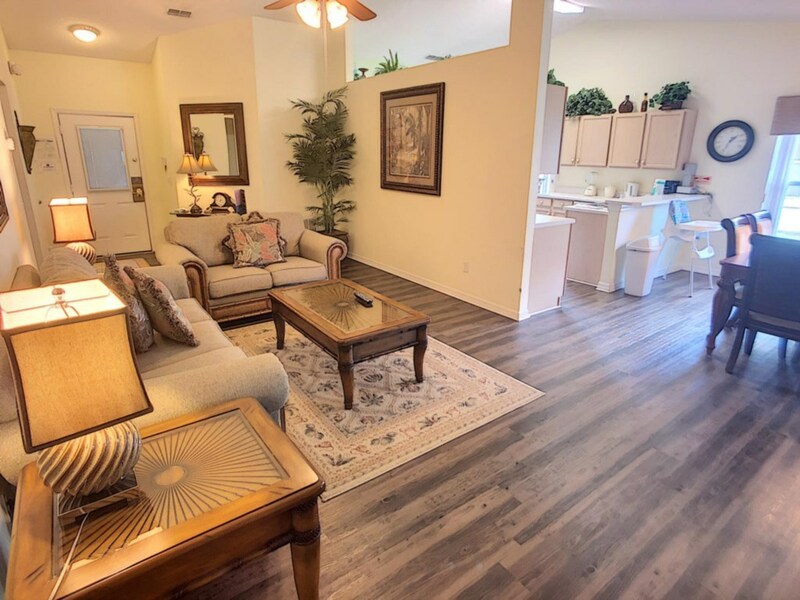 Call Loyalty Vacation Homes today! We did have a nice stay. 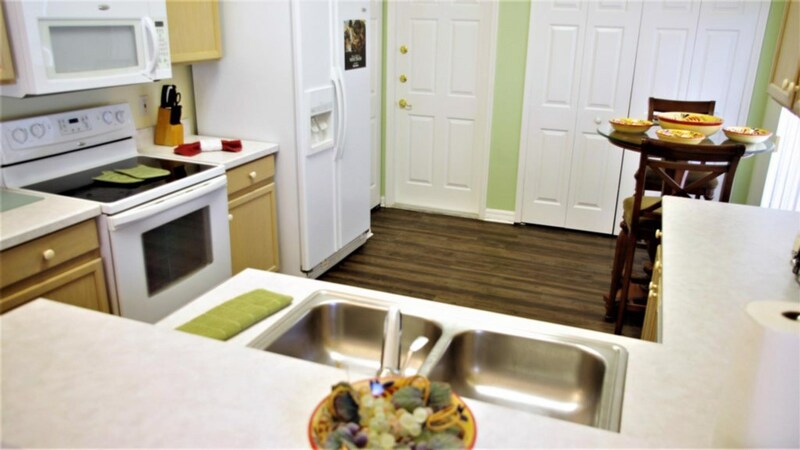 We are experienced vacation renters and this was our first time renting from a vacation rental/property management company rather than a private owner. The distance from the parks were great; as close as you can get without being on property. The beds were comfy and the temperature was great. Paid for pool heat, which was a comfortable temp, even though we only used a few times due to the weather. Our furry friend was welcome here and a sweet little doggie package with bowl and treats were provided. A nice touch. 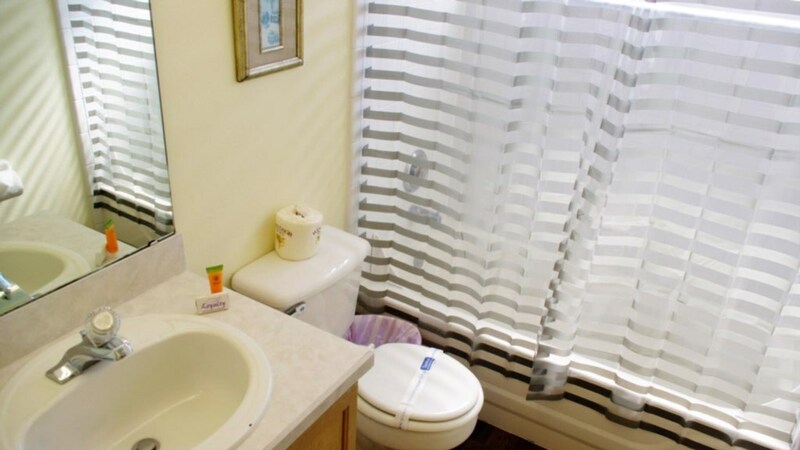 Overall nice stay. Thank you! 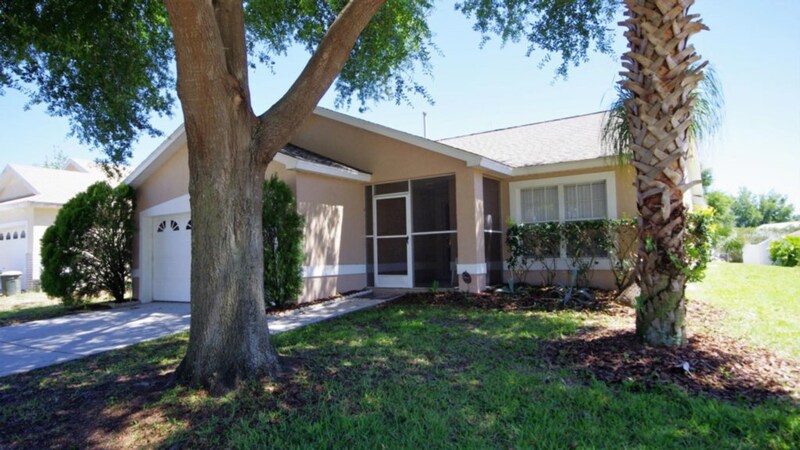 House is in a good location close to Disney and neighborhood was safe. We enjoyed our stay at Rocco's Retreat. The proximity to Disney was awesome. The place felt like home to us. 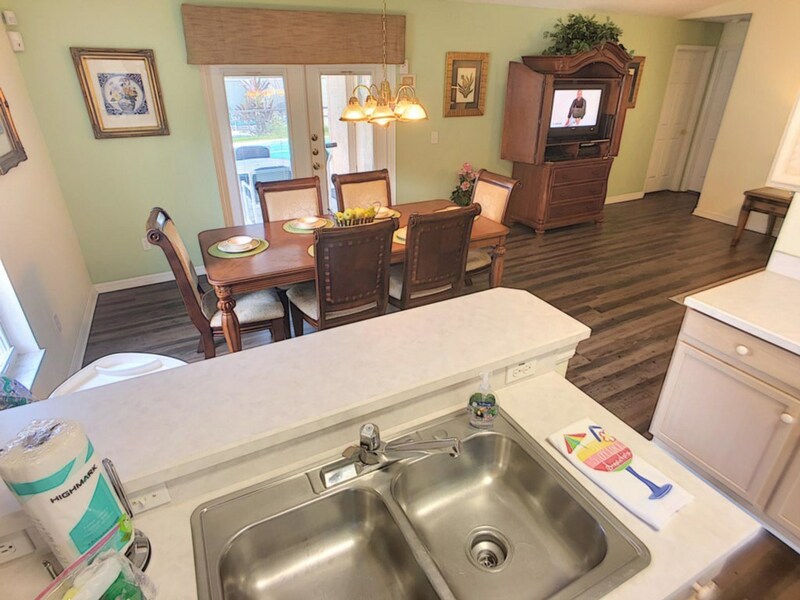 A perfect place to call home with my grandkids for 11 days. 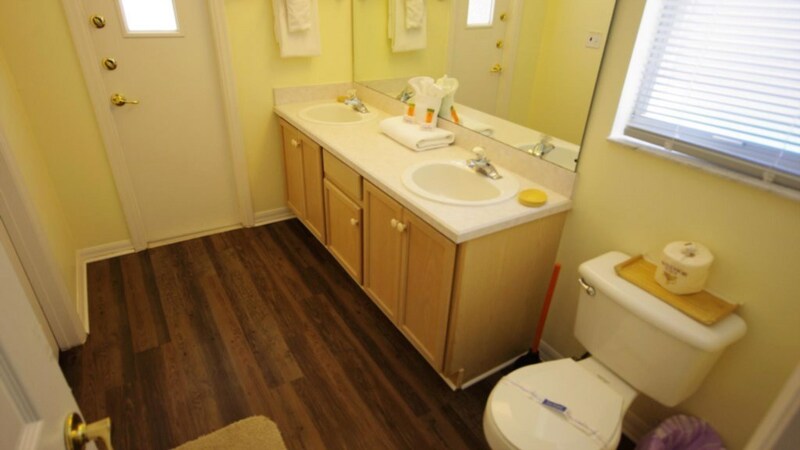 The staff did everything they could to ensure we were content and comfortable.